At Long Nab today, between 05.55 and 11.55, we had 11 Common Scoter, 4 Red-throated Divers, 7 Sand Martins and 4 Swallows all heading north along with a 2cy Iceland Gull at 06.20, a breeding plumage Great Northern Diver, a Short-eared Owl and a Whimbrel. The Shore Larks were seen again to the north of the Obs and today 18 birds were present. Moving south along the coast there was a Wheatear near the now dry Scalby Lodge Pond and 5 Teal on the small pond, and at Scalby Nab there was a Lesser Whitethroat. Nearby on Johnson’s Marsh we had 2 Snipe, 3 Teal and a Yellow Wagtail. 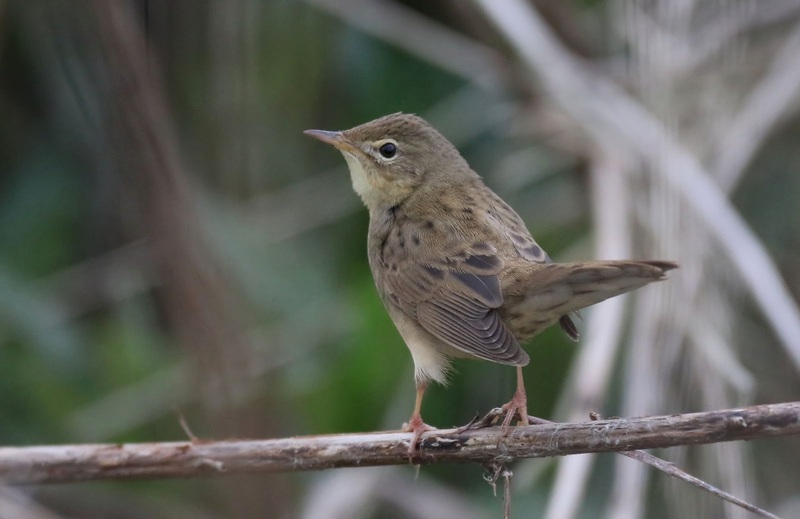 Seamer Meads had 3 Corn Buntings, a Wheatear and 9 Whimbrel and 3 Curlew flew over to the north, nearby to the north of Seamer Tip pool the first Grasshopper Warbler of the year was discovered in the afternoon. 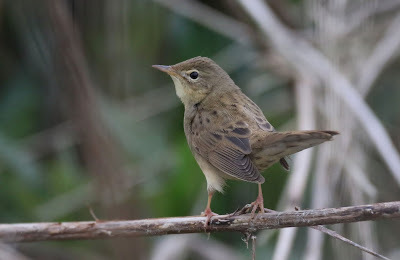 It was rather elusive but was seen a few times when it broke cover to sing from exposed perches before it got too dark to see well in the gloom of dusk.